My friend Cecilia is always teaching me new things about the world of textiles and how it relates to life and the universe. 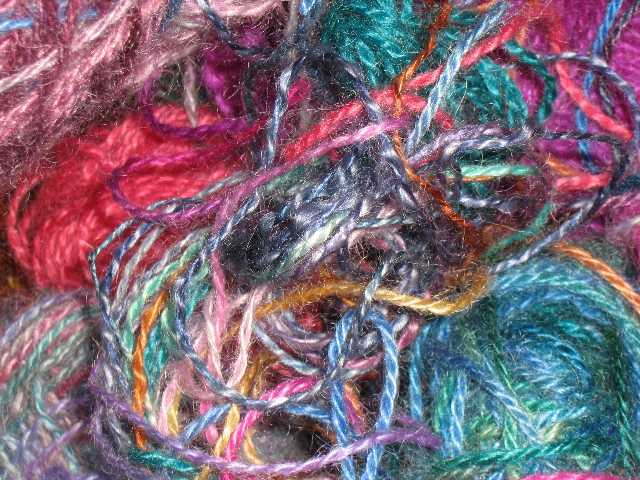 We all have tangles in cupboards and draws, and the propper old English word for them is "Snocksnarls - all of a heap; generally used of entangled thread". This is Cecilia's mohair snocksnarl. COME TO A BIZARRE BAZAAR!